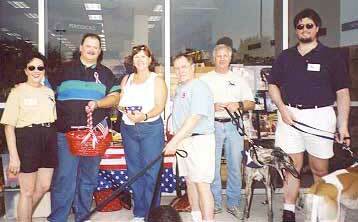 After the tragedy of September 11, we struggled with canceling our scheduled "Meet the Greyhounds". 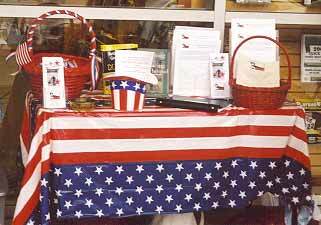 However the day before, GALT decided to go forward with our plans in an effort to collect donations for the American Red Cross Disaster Fund. Red, white and blue memorial ribbons were made and distributed to everyone. 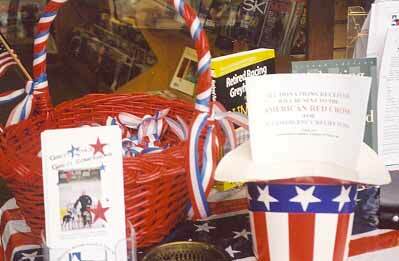 The donations received were more than matched with funds donated by Borders Books. Our sincere thanks to Tracey Rinehart, General Manager, for Borders' support.